War – huh! What is it good for? Absolutely nothing. A fine song, and a fine chant for an anti-war march. 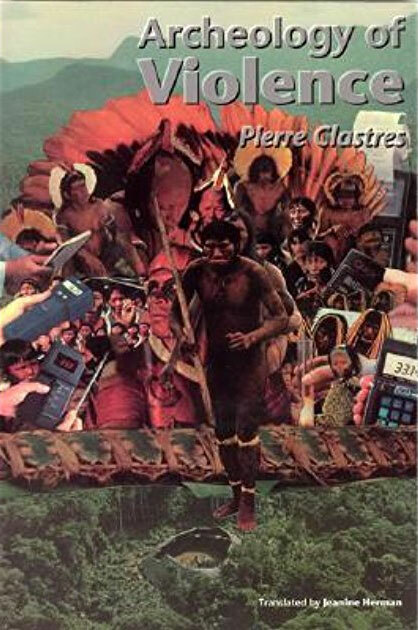 But I’ve not been able to hear this lyric in quite the same way since reading this collection of essays from the French political anthropologist Pierre Clastres. 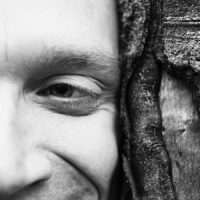 As fiercely independent in his thinking as the Yanomami Indians he so admires are in their living, Clastres’ style is an engaging balance between using the useful intellectual tools (jargon) of academia, and expressing his own temperament—often romantic, but never less than lucid and assured. This volume represents an interesting cross-section of writings. There are personal accounts of Clastres’ time spent during the ’60s living with Yanomami Indians, deep in the Venezuelan Amazon. Reviews of important books, such as Marshall Sahlins’ Stone Age Economics and Ettore Biocca’s Yanoama, which also deal with Clastres’ prime concern are included. ‘Of Ethnocide’ is an excellent, inevitably troubling analysis of this abhorrent phenomena of cultural annihilation, which was largely named in response to the process of “civilising” Amazonian Indians, as the term ‘genocide’ was defined in response to Nazi attempts to physically eradicate the Jews. And a whole essay is devoted to methodically rubbishing Marxist anthropology, which is fun. But Clastres’ core theory threads through all these writings, and is most forcefully expressed in the essays ‘Power in Primitive Societies’ (concise and to-the-point) and ‘Archaeology of Violence: War in Primitive Societies’ (extended and elaborative). And this theory is both compelling (to the anarchist in me) and troubling (to the pacifist in me). A good starting point for understanding this theory is the reaction that the politically-correct may have to the use of the word “primitive”. The assumed implication here is that these people are “behind” us; a model of cultural evolution is seen to be implied wherein modern western culture is more advanced in a hierarchy of linear progress, and thus is “better”. Contrary to this, Clastres argues that most cultures referred to as “primitive” in fact choose their mode of living together. They are suspicious of any evolution of this social structure, hence the term “traditional cultures”—cultures whose social and religious laws are embedded in a sophisticated oral tradition traced back to “the ancestors”, mythical antecedents who are seen to originate the eternally repeating pattern of current society. This formulation, like all generalisations, contains its own prejudices, but let’s stick with Clastres here for a moment. What is this social structure that resists change, presumably well enough to have survived in some form from the palaeolithic to the present day (just)? And what is the change that is resisted? In short, the social structure is a society without a State. And the absence of a State is, in Clastres’ view, no accident. It is precisely the State that is resisted. The State is defined by Clastres as “a separate organ of power”, that is, something that separates social power from society itself. Instead of collective self-government, society is split into Masters and Subjects, the Dominators and the Dominated. This split, Clastres argues, is seen, or felt, to be the prime evil by primitive societies, the beginning of the end for social egalitarianism and true democracy, to be warded off at all costs. And how is the formation of the State resisted? In a word, war. Here we need to see that the nature of war itself changed along with the transformation of social modes. “Primitive” warfare is a different matter from “classical” or “modern” warfare. Drawing on Marshall Sahlin’s work, which showed that most primitive societies exist in a state of affluence—where a few hours’ work a day will suffice to provide all necessities, where economic surplus and profit are meaningless—Clastres argues that primitive war has little to do with competition for resources. The major resource apparently fought for among the Yanomami is women and children, but given that peaceful exchanges can also serve to ensure such genetic distribution, Clastres argues that something else is essential to primitive war: social autonomy and the self-determination of the social group. Warriors also hold a less privileged position in primitive society than we may suppose. Clastres takes pains to elucidate the distinction between power (the ability to effect social control) and prestige (honour, or glory) in primitive societies, where warriors gain the latter through their frequent raids on other villages and defence of their own, but are prevented from holding the former. So, a perpetual state of war exists between primitive groups, a war which certainly has casualties, but which, in Clastres’ view, serves to maintain the vital self-government of each group. Should this dispersive, “centrifugal” war cease, he reasons, the exchanges and friendly connections between disparate social groupings would inexorably lead to a “centripetal” evolution towards a larger social union, a drawing together… and the impossibility of self-determination, an inevitable descent into social division, the splitting of power away from society itself: the State. Obviously, many questions arise from this counter-intuitive theory, and Clastres leaves some unanswered, or answered unsatisfactorily. The obvious inequality in social standing between men and women—most striking among the Yanomami—is dismissed very briefly with a discussion of men’s association, through their being warriors on a certain track to an inevitable bloody demise, with death, and women’s association, through childbirth, with life, and the power they can exercise in refusing to give birth. One also wonders exactly how the State ever came into being, if the human ur-society was based around resisting its formation—who goofed? In his discussion of the seminal work of Étienne de La Boétie, Clastres resorts to calling this cataclysm “the misfortune”, and leaves it mostly unelaborated. I’ve no issue with the idea that questions such as “Where did it all go wrong?” may well be unanswerable, and best left to religion and drunken revelations, but I expect some stabs in the dark from people like Clastres. He gets close to a theory in the final essay, ‘Sorrows of the Savage Warrior’, which analyses how the common experience of warriors in primitive societies could serve to alienate them from everyone else, mutating prestige into power, forming in their midst the very anti-social power that their warring tries to resist. Sorrows indeed. For primitive society to retain its autonomy, the warrior must be an ultimately tragic figure, almost—ironically—exploited by society. The other path leads to the State, society’s tool of self-determination unwittingly germinating the seeds of overwhelming social division, inequality and the whole sorry Master/Slave dynamic. Another objection may be: How can a group resist something it’s never experienced? I’m sure there are sociological complexities to this, but my guess is that all people who have never been held captive and tortured could find an answer to this in looking at how they might resist attempts to capture and torture them. I’m just starting to form my own ideas about this theory that primitive war is the way that such societies avoided social divisions, but the central problems discussed in this book reflect immediately and starkly on the world of 2003 CE. Classical war is war between State-lead societies, and as such, outwardly reflects the will to dominate others that forms the internal basis of these societies. Modern war evolves this technologically, and now we find a new form of perpetual war emerging, war on terrorism, war between States and the dispossessed. Even more interesting is the primitive notion of authentic democracy, the leader as a spokesperson, not a wielder of power. Tony Blair’s recent arrogance in the face of public opinion just couldn’t happen in a jungle village. He would have been killed long ago. However, none of this clearly points to a way forward. Comprehending the different dynamics of group behaviour and control throughout history—both human history and biological history—seems essential in assessing the range of possibilities that life presents, and for building a larger picture of our current situation. But the past can coalesce into the bars of a prison as much as the rungs on a ladder. We have long since fallen into history and social division, and the idea of escaping from this condition through aping primitive societies’ perpetual, violent, dispersive warfare seems—given our technology and dwindling resources—like a very dismal future. Primitive societies may have resisted social oppression through war and strict social conservatism, but for us, these things have become the sword and shield of oppression. Only non-violence and novelty seem to offer hope. Archaeology of Violence by Gyrus is licensed under a Creative Commons Attribution-NonCommercial-NoDerivatives 4.0 International License.